An creational design pattern, which represents an solution for generation objects without specifying the class name. 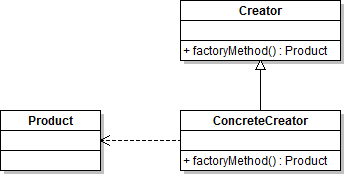 Virtually all methods that generate objects are particular implementations of the Factory Method pattern. A motivation for this choice is that the creation of the object is delegated to the factory method.